Sports heroes are often considered superhuman. In reality, their caring side – on and off the court – is what men see as indicative of real strength. Men today believe a hero embodies personal qualities such as putting others’ needs before your own, or being there for another man when he needs support.1 In fact, the world of sports is one of the top environments where men feel most comfortable connecting with friends and showing care for each other. 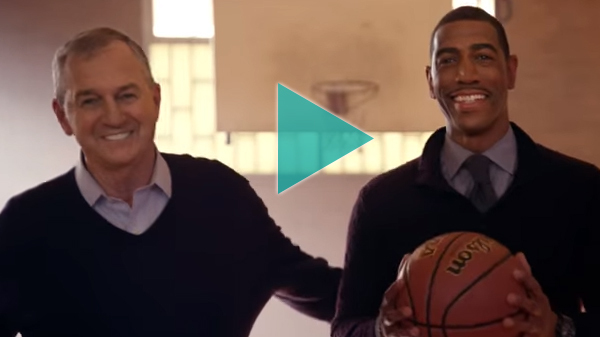 Throughout 2016 NCAA® March Madness, the Dove Men+Care ‘Bonds of Real Strength’ campaign will celebrate deep friendships between basketball coaches such as Jim Calhoun and Kevin Ollie to show the caring relationships that strengthen men today. Since two thirds of men bond with their friends over sports, Dove Men+Care will spotlight the ‘Bonds of Real Strength’ that shape men’s lives, celebrating caring moments between Calhoun and Ollie to show how their professional relationship has evolved into a lifelong friendship. Men already know the mentorship role Calhoun has played in Ollie’s life, but they may not know that the two men say “I love you” when they get off the phone, or about a half-court hug the two shared that carried more weight than any championship. The depth of their friendship has lasted long after their days together on the court – from weddings and the birth of Ollie’s children, to the decision Calhoun made to choose Ollie to carry on his legacy – and exemplifies the importance of deep friendships to all men. Throughout the tournament, Dove Men+Care will also share stories from other NCAA coaches whose care has had an impact on others, including Ron Hunter, Thad Matta, Tubby Smith, Johnny Dawkins, and Bryce Drew. Men today place a high value on friendship, and acknowledge the importance and positivity it brings to their lives. Men are devoted friends – 84% say they would drop everything to be there to care for a friend – yet 74% of men agree that pop culture does not give enough credit to the support and care involved in men’s friendships. Real men need real friends, and the caring bonds they share are core to their ideals of strength. 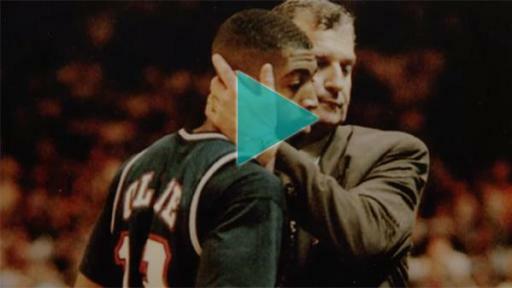 Visit http://www.dovemencare.com/NCAA during the NCAA tournament to see ‘Bonds of Real Strength’ moments from Jim Calhoun, Kevin Ollie, and other NCAA coaches. For more #RealStrength visit @DoveMenCare on Facebook, Twitter, and Instagram. Unilever will spotlight Dove Men+Care during its sixth season as a proud partner of the NCAA® Division I Men’s Basketball Championship. As a leader in personal care, this multi-year commitment includes Unilever’s full portfolio of men’s and women’s personal care brands with exclusive category marketing and promotional rights related to all 90 NCAA® championship events across 24 men's and women's sports as well as integrated marketing opportunities, retail and print, promotions, online and television advertising. As part of the 14-year multi-media agreement with the NCAA®, CBS Sports and Turner Sports are licensed and collaborate on the NCAA®’s corporate marketing program.